Today we’re going to talk about tile. What kind of tile should I use for my bathroom? That’s one of the biggest questions we get and of course it’s a good question because a lot of the surfaces in the bathroom are covered with tile. 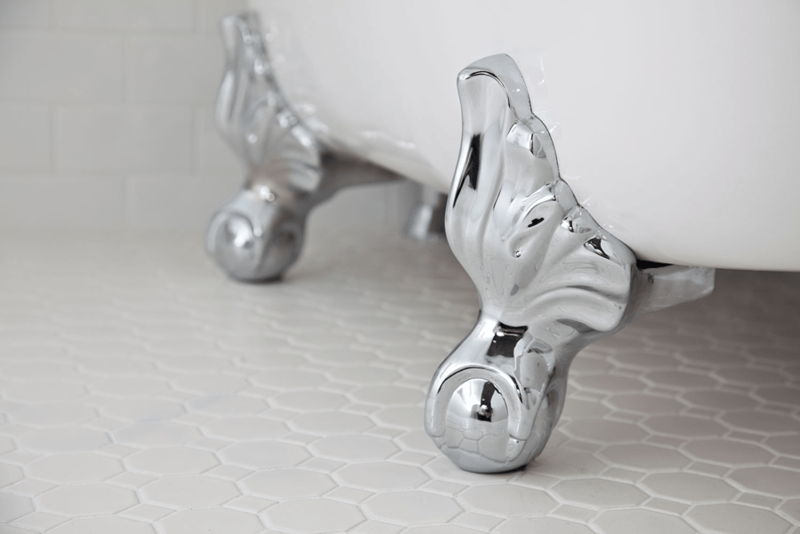 Basically, there are three things that you want to think about when you’re choosing a tile. One is the size and shape that these tiles will come in, and most come in various sizes and shapes. The second thing is the texture of the tile. The actual physical texture; what does it feel like? What will it feel like on your feet? What will it feel like if you touched it on the wall? Finally, color and movement. How busy or not busy is the tile. So those are the three things that you definitely want to consider. In terms of texture, of course you want to be thinking about the floor tile being something that’s going to be safe and non-slip. One of the things that you can find out about tile, if you look at various tiles, is what the slip coefficient will be for a particular tile. We often look at those slip coefficients to determine whether the tile is going to be safe in a wet situation. Some are fine in a dry situation and not fine in a wet application. So that’s something you really want to look at. 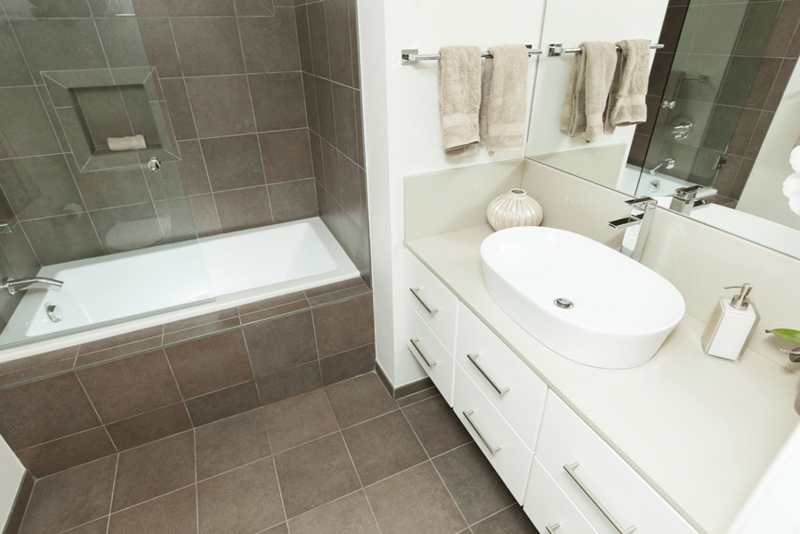 There are basically three types of materials tiles that are most prevalent in bathroom remodeling. You have ceramic tile, which is always glazed on the surface. You have porcelain tile, which comes glazed on the surface and also color body and then you have natural stone which of course is natural. There are also clay, cement and glass tiles which are not used quite as often. 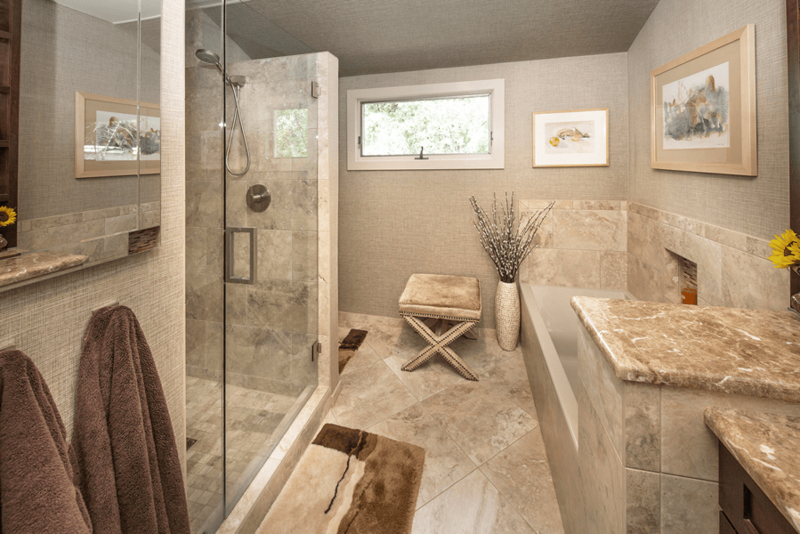 Glass is often an accent as it can be fragile when attaching shower doors and fixtures. Cement tile is becoming more popular but is still not in the top three. So, again, one of the questions I get is, what should I be using? Should I be using natural stone? Should I be using porcelain tile? There are some property differences between these three tiles. Most people are not gravitating towards natural stone these days, at least for their flooring and their shower tiles. Unless they specifically want that look, they are preferring porcelain tiles that “look” like natural stone due to the maintenance and upkeep that natural stone requires. Porcelain tiles and ceramic tiles, are all glazed on the surface or colorbodied and easy to clean. They don’t have to be sealed, where natural stone typically has to be sealed. And, there are a lot of amazing porcelain tiles that look like natural stone out there. The other thing about tile properties is breakage. Your ceramic tiles are going to have a lower breaking coefficient than porcelain. Essentially, porcelain tiles are going to be harder to break. Now the reality is, if it’s your bathroom, chances are the breaking coefficient is not going to be a big issue. If you were building a public space or a hospital or something like that, you would absolutely choose porcelain tile because it is going to be a harder tile and hold up to more traffic and distress. However, people choose porcelain tile for another property which is that the edges can be, what we call, rectified. This means the edges become sharp so that you can put them closer together and you can minimize grout joints more readily. Ceramic tiles typically have a little bit of a rounded edge and porcelain tiles don’t. So, you can minimize grout joints and give it a much sharper kind of look. They are making some advancement in ceramic tile with sharpening the edges but porcelain tiles are ahead of the game on this. Porcelain tiles basically come in two varieties; they come glazed on the surface and color body. Color body means that they have color all the way through them so that if someone were to chip a tile, which doesn’t happen very often, the color goes all the way through. In contrast, the glazed on the surface tiles, like ceramics and glazed porcelain, are going to be glazed on the surface and if chipped you’ll see that. So those are your three most common tile types. You’ve got ceramic, you’ve got porcelain, and you’ve got natural stone. As I said, most people are gravitating towards ceramic and oftentimes porcelain tiles because porcelain tiles will also allow you to do some things texturally that ceramic tiles won’t allow you to do. I know what you’re thinking. Which tile is most cost effective? Well, I can tell you there are some ceramic tiles that are very reasonable and VERY expensive, and I can tell you that there are some porcelain tiles that are VERY reasonable and very expensive. You really need to know where to find the best tile for the best value. We can help you with that.